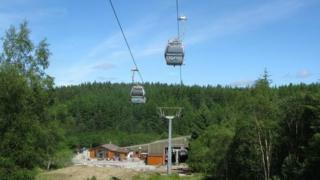 A hydroelectric scheme that powers a mountain gondola near Fort William has been fully completed. The scheme at Allt choille Rais has provided electricity for the Nevis Range gondola and its base station at Aonach Mor since December last year. Nevis Range Hydro Company led the construction of the hydro plant. It was officially opened by Energy Minister Paul Wheelhouse following its full completion.